The Other Side of Pregnancy is an informative, practical resource for moms-to-be about back pain related to pregnancy–a condition many women have been told is simply an inevitable side effect of having a baby. 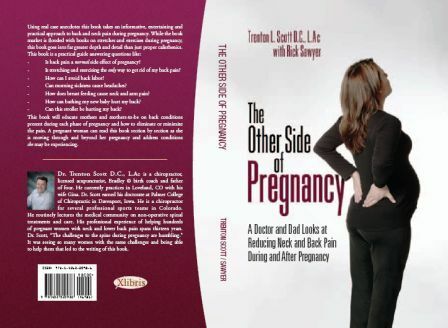 No other book on the market provides a broad spectrum approach toward advice and treatment options related to the specific challenges of back pain during pregnancy, labor and delivery, and post partum conditions. While the book market is flooded with books on stretches and exercises during pregnancy, this book is specifically targeted to a common, almost universal medical condition: pregnancy. But it goes into far greater depth and detail than just proper calisthenics. The book is a practical guide that will educate mothers and mothers-to-be on back conditions present during each phase of pregnancy and how to eliminate or minimize the pain. A pregnant woman can read this book section-by-section as she is moving through her pregnancy and address conditions she may be experiencing. 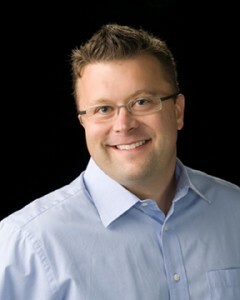 Dr. Trenton Scott, D. C., L.Ac., is a graduate of the Palmer College of Chiropractic. He is licensed by the Board of Chiropractic Examiners in the State of Colorado, and holds certification from the National Board of Chiropractic Examiners. Dr. Scott has treated hundreds of pregnant women in his chiropractic practice in Loveland, Colorado, which opened in 1995. He has written and taught seminars on chiropractic care and lectured medical doctors on his specialty.